The trade war is a rather strange and bewildering affair if you do not understand the underlying goal behind it. If you think that the goal is to balance the trade deficit and provide a more amicable deal for U.S. producers on the global market, then you are probably finding yourself either confused, or operating on blind faith that the details will work themselves out. Case in point, the latest reports that the U.S. trade deficit is now on track to hit 10-year highs, after a 7% increase in June. This is the exact opposite of what was supposed to happen when tariffs were initiated. In fact, I recall much talk in alternative media circles claiming that the mere threat of tariffs would frighten foreign exporters into balancing trade on their own. Obviously this has not been the case. Rumors of China committing to trade talks or “folding” under the pressure have been repeatedly proven false. Though stock markets seem to enjoy such headlines, tangible positive results are non-existent. While the world is mostly focused on China’s reactions, sanctions against other nations are continuing for reasons that are difficult to comprehend. Sanctions against Russia have been tightened in the wake of the poisoning of Sergei and Yulia Skripal in the UK, even though we still have yet to see any concrete evidence that Russia had anything to do with the attack. Sanctions against Iran have been reintroduced on the accusation that the Iranian government is engaged in secret nuclear weapons development. And again, we still haven’t seen any hard evidence that this is true. Such sanctions, based on hearsay, rumor and “classified” data that the public is never allowed to review, present what amounts to an economic fog of war. What appears to be a chaotic mess, however, could actually be a distraction from a greater scheme. I’m talking about what the IMF commonly refers to as the “global economic reset”. They tend to discuss it in vague fashion, but from what I have gathered from the IMF’s own documentation as well as what other major economic powers are calling for, this reset includes a path to de-dollarization. This means the end of the dollar as the world reserve currency, to be replaced with the SDR, a basket currency system controlled by the IMF. 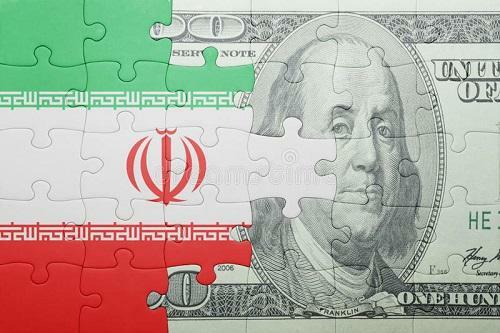 The Iran sanctions, in and of themselves, do not represent a trigger for a global dollar dump. Though, globalists within the IMF might prefer that the average person or economic analyst believe this possible. In this way, they avoid blame for the potential fiscal suffering that would result when the dollar is displaced and stagflationary consequences strike. A lot of dominoes have to be carefully and deliberately placed and knocked down in order for the dollar to lose its reserve status, but the process is well underway. The effects of sanctions on Iranian oil are a perfect example. Rather than creating a “multipolar world” as mainstream propaganda suggests, we are seeing even more global centralization in the face of the trade war. In recent news, five nations including Russia and Iran have signed an agreement on the Caspian Sea. The longtime dispute over the resource rich region has suddenly ended as tariffs disputed with the U.S. accelerate. Iran was initially reluctant to sign the deal, but its success now marks a milestone in Russia/Iran relations. To reiterate, two nations that have been sanctioned by the U.S. are now moving closer together for strategic and economic gain. But it doesn’t stop there. Europe has expressed a distaste for Iran sanctions and is slow to reduce its purchases of Iranian crude and natural gas. In the process, EU nations would lose one of their largest suppliers of energy. Both France and Germany are considering the use of alternative payment systems in order to sidestep the US and continue trade with Iran. This move falls in line with reports that Germany is moving away from the US dominated SWIFT payment network to the Chinese based CIPS. Natural gas is vital to Europe’s economy, including heating during winter months. Initially, before Iran’s export markets opened back up, the EU was heavily dependent on Russian natural gas and oil to meet its demand. With the threat of Iran sanctions set to return this November, guess which supplier is back in town. Russia and Germany are set to sign an agreement on an oil pipeline called Nord Stream 2, which will increase Russian energy exports substantially. Donald Trump has attacked the proposal, claiming it makes Germany “a captive of the Russians”. This rhetoric, though, only seems to be hastening the process. I would note that sanctions against Iran are the likely cause of elevated support in Europe for closer economic ties to Russia. Once again, we see the world moving closer together in centralization while the U.S. is being systematically cut out. Iran has stated openly that it plans to defy U.S. sanctions and this defiance has been met with support not only from Russia, but also China. The Asian export and import powerhouse, already embroiled in a trade war with the U.S., has stated it will not cut Iranian crude imports, and has even suggested removing the dollar as the trade mechanism for oil purchases. The Iran issue is igniting at an interesting time. Emerging market economies are facing considerable pressure as the Federal Reserve continues its interest rate hikes and balance sheet cuts in the name of fiscal tightening to combat “inflation”. As I have mentioned in past articles, U.S. banks and corporations were not the only recipients of Fed bailouts, QE and overnight loans. According to the initial TARP bailout audit, which only gives us a small glimpse into the amount of fiat pumped into the global system by the Fed, trillions of dollars were injected into foreign banks and companies. Emerging market countries became addicted to Fed liquidity over the past decade, using no-cost loans and the weakened dollar to prop up stock markets, bonds and their own currencies. They were the first to see a stock market rebound after bailouts were launched, and now they are the first to see their stock markets plunge as the Fed removes the punch bowl. Emerging market equities have recently suffered an approximate 15% drop as dollar liquidity dries up. The trade wars have provided perfect cover, distracting the public from the fact that without constant and expanding money creation by the Federal Reserve, assets around the world are plunging in value. This imbalance in market declines has fooled mainstream analysts, who are claiming it as evidence that Trump’s trade war is “working” and that trade opponents will soon capitulate. In reality, the reverse is more likely true. As we have seen with Iranian oil, emerging economies are not rushing to placate the U.S. And even European nations like Germany are seeking alternatives that are out of line with U.S. wishes. India has complained openly that the Fed’s balance sheet cuts and interest rate hikes will cause severe economic instability. Though foreign banks still hold trillions in dollars overseas, dollar liquidity has become a major psychological factor. Beyond this, it is the higher COST of dollar based loans due to rising interest rates which mainstream analysts seem to be ignoring. Debt already accumulated by emerging market banks is set to become much more expensive, and this is likely the trigger behind stock volatility in much of the developing world at this time. The more expensive debt is, the less international banks and foreign central banks will be borrowing in order to prop up stocks in those regions. When an addict is unable to get the drug he desires from his traditional source, he will look for alternative sources. Meaning, emerging markets are going to seek out other options to replace the dollar by necessity. One might wonder if the Fed is aware that they are creating the very conditions that will cause the demise of the dollar. And the answer is yes – they are perfectly aware. Jerome Powell admitted in October 2012 that tightening of QE and higher interest rates could cause severe fiscal crisis. Today, Powell is the Fed chairman, and he is pursuing the very actions he warned about in 2012. If this does not tell you that the Fed is a deliberate saboteur of our system, then I don’t know what does. We commonly focus on the consequences of Fed policies within America, but rarely consider how the Fed’s actions might hit foreign markets, and then circle around like a boomerang to hit the U.S.
We know that higher interest rates will eventually crush corporate stock buybacks, which have kept U.S. stock markets in an artificial bull market for years. August is known as the most aggressive month for stock buybacks and this is reflected so far in the recent market rally. But, corporations are already weighted with historic levels of debt not seen since the Lehman crisis, and higher rates will drag them down into even deeper waters. Though, with emerging markets, we see the threat of something far more damaging – the end of the dollar as world reserve. The consequences? It is possible, though perhaps unprecedented, that the dollar index will decline even while dollar liquidity is being cut. Meaning, severe price inflation as foreign holders of dollars dump them back into U.S. markets as they turn to a basket-based monetary system. This would likely lead to an explosion in gold prices, but beyond that, an explosion in most commodity prices for Americans. Global banks are more than happy to initiate their “reset” in this manner, as Trump’s trade wars can be used as the perfect cover for any pain that is felt during the transition. If prices do indeed spike and stocks plummet, tariffs will be blamed instead of the central bankers. When enough fear has been induced in the populace, the IMF and its banker patrons can “ride to the rescue” with the same SDR-based basket system that China and Russia have been calling for as a replacement for dollar hegemony. In this scenario, America is painted as the bumbling villain that gets what he deserves, while the world is saved from the edge of destruction by the very banking elites that created the catastrophe in the first place.